As member demand for financial technology increases and branch traffic decreases, credit unions looked to scale back the square footage of branches and placed a greater focus on incorporating technology into daily operations. The credit union movement notches another year of strong growth and sound fundamentals, but there’s potential for much more. 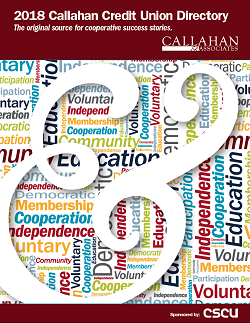 Use the annual Callahan Credit Union Directory to review past performance as well as look forward to the year ahead. Credit unions operated 21,012 branches nationwide as of June 30, 2017, a net increase of 35 branches year-over-year. The credit union membership base expanded 4.3% over time time, to 110.6 million. 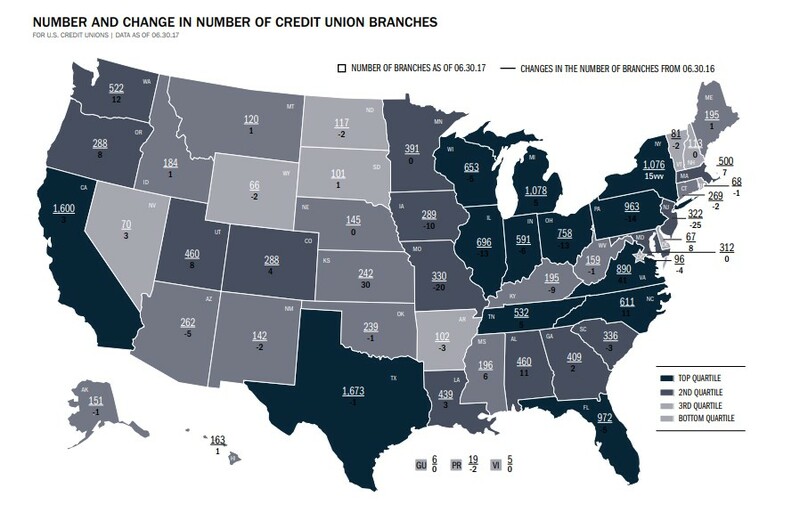 With membership growth outpacing branch growth, credit unions served 204 more members per branch as of mid-year than in 2016. For second quarter 2017, credit unions served an average of 5,265 members per branch. 77.2% of credit unions reported offering online banking. 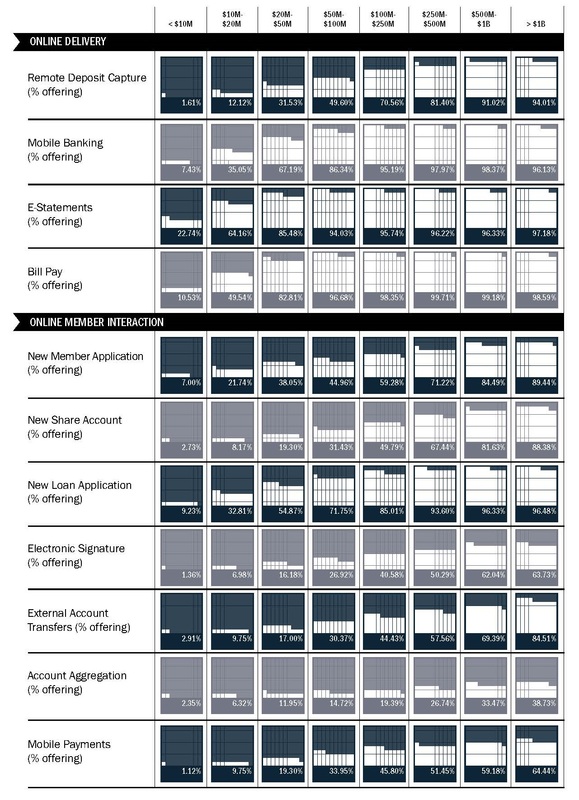 56.9% of credit unions reported serving members through mobile banking. 70% of credit unions reported offering e-statements. 64.6% of credit unions reported offering bill pay. 37.3% of credit unions reported offering online new member applications. 51.4% of credit unions reported offering online new loan applications. 36.4% of credit unions reported offering remote deposit capture. Read on to learn more about industry delivery channel trends and see the credit union leaders in branches, ATMs, members per branch, and online banking penetration. All this data and more is available in Callahan’s Credit Union Directory. Download your copy today. *ATMs owned by the credit union; as reported by the NCUA. ** FTE = Full-Time Equivalent. FTE Employees is calculated as all full-time employees plus 50% of part-time employees.